Diapers today are technologically improved by tenfold as compared to nappies in the older days. There’s no need for washing up disposable diapers or opening nappies to check if things get dirty thanks to built-in indicators. However, things can happen when materials don’t suit your little one's skin, causing unnecessary pain and discomfort such as diaper rash. And, babies not wearing a diaper is also not an option as parents will have another headache settling the need for cleanliness and hygiene reasons. Fret not, diaper rash creams are also widely available in many stores today. 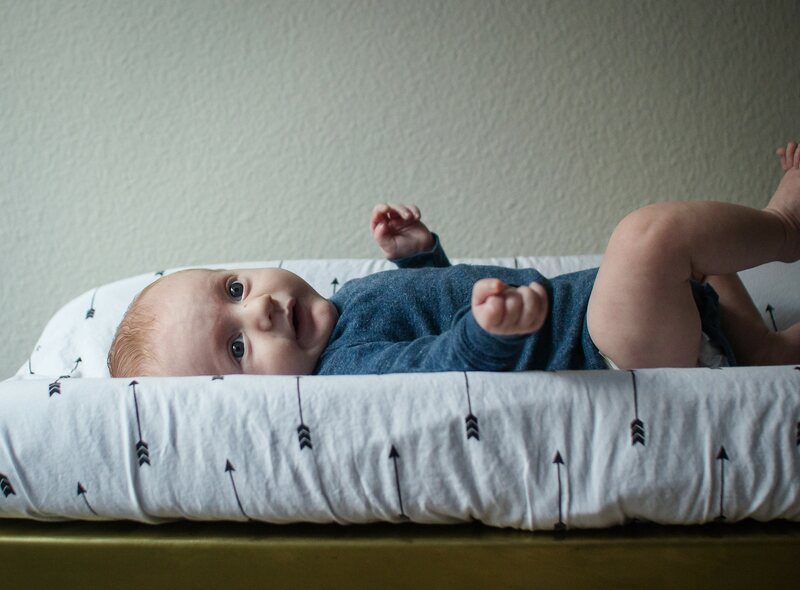 So, quit worrying and shop from our top picks below that will keep babies smiling and parents relieved, knowing their little ones are in great and secure care. Tri derma MD baby has AP4® Aloe Vera Complex that claims to contain more than 200 healing properties. It generally helps to reduce swelling, kill bacteria, and soothe diaper rash inflammation as well as pain. Easy to clean, less fuss and fragrance free, it’s suitable for little ones with highly sensitive skin. Gaia Skin Soothing Cream is available in an easy-to-dispense tube, making portability a dream for travelling! In the tube of goodness is a rich formula of Vitamin E, which helps to maintain skin elasticity. Not only that, there are many other botanical ingredients such as organic chamomile extract, calendula and lavender. All in all, the cream has many calming properties to soothe your little one on a long journey. Less crying, more comfortable moments! Mater Nappy Balm is a diaper rash cream that provides sufficient barrier to repel wetness yet add moisture to affected skin. As newborns have delicate skin, it is crucial to ensure that they are close to comfort and pain-free. That's why Mater Nappy Balm replicated Vernix, a moisturizing barrier that protects the baby when they're in their mother's womb. Hence, the cream is natural to help newborns heal progressively with familiarity! O8 Natural Cream claims to contain 100% natural active ingredients to suit those with sensitive skin like eczema. Little ones with allergies can feel comfortable full time as the cream is both gluten and paraben free. Additionally, O8 Natural Cream assists in prevention of diaper rash which creates a peace of mind for many parents, especially the busy ones! Earth Mama Angel Baby Bottom creates the heaven most parents and little ones need! Providing a shield to battle against rashes, itches, flare ups, scrapes and burns, this antifungal herbal cream is one that most parents should have at home and outdoors. A true companion which doesn't have beeswax, it’s naturally a miracle game changer for healthy babies without providing much fuss! With Mustela, mothers can be worry free when it comes to their little’s one comfort in cloth diapers. As simple as using it in just 3 steps, this cream helps to prevent, soothe and repair infections and soreness in babies. It is also highly suitable for newly discharged babies after neonatal care. Due to their higher sense of sensitivity, Mustela claims they ensure that their product has minimal risk allergies for the child's comfort and safety! A water base cream leaves no sticky discomforts and residues, making it a blessing for busy parents. And Mayya Baby 5 in 1 cream provides just that! One will find many herbal and beneficial ingredients to soothe and moisturize skin such as Aloe Vera and Argon Oil. But the real friend here is coconut oil, as it helps to reduce inflammation. What more, the Mayya Baby 5 in 1 cream provides restful sleeps, reduces flatulence and creates a soothing experience for little ones! Hey parents, if you're looking for something quick and efficient for your crying child, look no further! Consider the Aquaphor Baby Healing cream, which claims to provide necessary relief from burns, chafing, infections and swelling in 6 hours. This is also known as advance therapy to ensure the road of recovery is finally alive once again. The cream is also suitable for dry, chapped and irritated skin. A 21st-century learning specialist that educates and writes to share with the world. A fan of dark chocolates and magic!